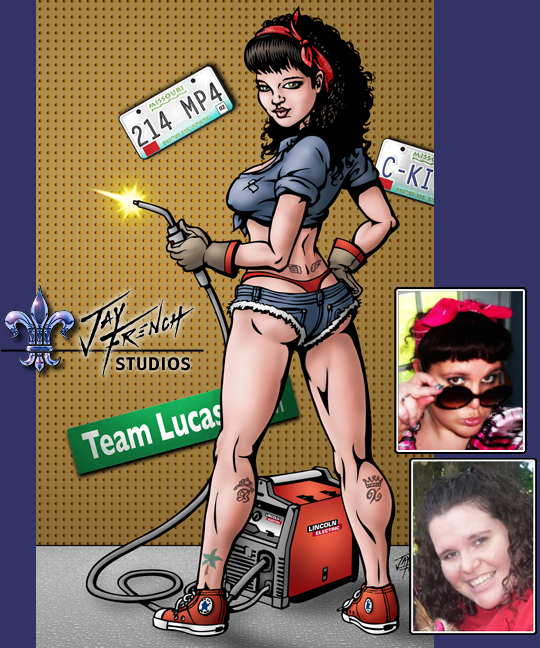 This was ANOTHER contract portrait of a welder's wife, done up in a classic "pin-up girl" style. Subject photo sources are on the right. I never imagined this particular set of circumstances would come up again, but it just goes to show: you can never predict what people will ask me to draw! I was quite happy with how this came out, though! From the bandana pattern to the license plates to the tattoos & "whale-tail" thong! The client was very happy, too!